Protective factors, if present, seem to decrease the risk of developing Parkinson’s Disease. The factors studied for protective effects include smoking, nicotine, caffeine, NSAID, omega 3 fatty acids, and hormone replacement therapy. Individuals who smoke or use smokeless tobacco have reduced the risk of developing Parkinson’s disease. This may suggest that nicotine may have a neuroprotective effect, which could be beneficial in both the prevention and the treatment of Parkinson’s disease. Several hypotheses have been proposed to explain this effect. Smokers have a decreased activity of monoamine oxidase B, an enzyme responsible for the oxidation of dopamine. Nicotine may protect against neurodegeneration by interacting with the CNS dopaminergic system and promoting expression of neurotrophic factors. Also, chronic low-dose exposure to smoking may induce tolerance to acute exposure of other toxic agents. Smoking has deleterious effects on health and has been strongly associated with cardiovascular disease, lung cancer, premature aging and mortality. It has been estimated that three million deaths around the world are attributed to smoking, and half of these individuals are middle aged. These figures are expected to increase to eight million by 2020. Therefore, the use of smoking is not advocated as a protective measure for the development of Parkinson’s disease. 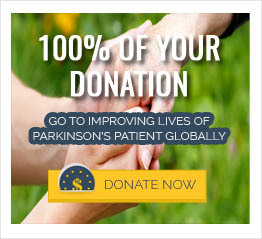 However, an understanding of the association between smoking and Parkinson’s disease may provide insight into the mechanisms of the neurodegeneration that contributes to Parkinson’s disease. Caffeine intake is believed to be another protective factor against Parkinson’s disease. Hormone replacement therapy in women is also suggested to be associated with a reduced incidence of Parkinson’s disease. Although omega-3 fatty acids were studied for there neuroprotective effect no firm evidence has been found.